This is not a new post but a revised one. As I am not revising them all, but just those I think badly need it, I thought it deserved to be moved from their original category. Me: Kind of you to approve the interview. I asked the hall mirror if he would do it but he’s refused. He hasn’t been the same, really, since I moved the antique desk into the hall. Bathroom Mirror: Happy to help, Mary, call me Hal. Don’t worry about that dope in the hall. Herb is calling it a foyer now which should give you an idea of what a drongo he is. There won’t be any living with him now. That desk was a mistake. Human beings are what they eat; we mirrors are what we reflect. Take me, for instance, a more down to earth type you’ll never find. Faucets, bathtubs and toilets have made me the mirror that I am today. ‘I’ve seen the underbelly [of the Granny household]… and it haunts me.’ My brother in law, George sits above the mantel in the lounge room and hangs out for Mondays and Thursdays when he can watch the Big Bang Theory. That Sheldon reminds me of Herb. Both of them are narcissists. Go ahead, Mary, ask away, I have been checking you out for decades, your turn now. Me: I thought I was the one checking me out. I’m going to be so self-conscious now that I know. Hal: Your flaws are safe with me; we mirrors have the same code of ethics as doctors do, only in our case we show but don’t tell. And we don’t charge. Just stay away from profiles, that’s all I’m going to say on the matter. Except, whatever you do, don’t look behind you. Me: What are you telling me? What flaws? I knew it, is my bum big in this? Hal: Focus on the front. From the front, you’re perfect. Me: That’s actually the topic of our interview today, Hal. I’ve been delegated by Womankind to solve the mystery of the ages, or at least the recent past: why is it that we look so much better in our own bathroom mirrors than elsewhere? You should see the mirror in the public ladies bathroom at our local shopping strip. I look like my 82 year old neighbour Mrs Wellington in it. Hal: Womankind and Mrs Wellington can rest easy. It’s self-preservation. That’s why we home mirrors have invented the myth of the broken mirror and seven years bad luck. As for my trashy, no account cousins once removed, they have no pride. They will put up with anything even bad lighting and cheap and shoddy workmanship. I wish somebody would remove them; that lot are a disgrace to the fraternity. It’s giving the rest of us a bad name. Me: What about that skirt I bought at the Plaza last week? I looked like a million bucks in that till I got it home. It’s like a reverse thing; simply fabulous in the shop and nothing at all like Angelina Jolie at home. Hal: Yeah, well, that’s a different branch of mirrordom you are talking about. My uncle Maurice is in retail and he says that he and his colleagues have built-in rose-coloured glass. Customers are seeing themselves as they want to be in those mirrors. Maurice says it’s all about clinching sales and achieving targets. Hal: No that’s my sister-in-law Erised, a glass of a different colour. She shows you your heart’s desire. With retail mirrors you only have tuck your tummy in, stand on your toes and squint. Me: My best friend, Gladdie looks terrific in whatever she’s wearing and wherever she is standing, even when we are standing side by side in front of the same mirror. Hal: I did a short course in human nature at Looking Glass U. You humans are so insecure. Look at Snow White’s step mother. 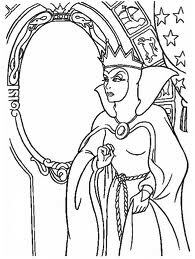 All she did was go on about was being the fairest in the land. I blame Sybil for the poor Queen’s paranoia. There’s a black sheep in every family and Sybil is ours. She had her five minutes of fame in in ‘Alice in Wonderland’ and we’re still hearing about it. She should never have been allowed into fairy stories. Me: Anyone else left that you want to tell me about? Hal: There’s Sam Gingivitis, the dentist’s aid and Gordon Swashbuckler, Blackbeard’s looking glass, the things they have seen… but that’s too painful to talk about. Me: Okay, then, Hal. Thanks. What about this shade of lipstick? I’ve heard that the right shade can light up my face or my life. I can do with something to light up my life right now. What do you think? Does it give me a glow? Well, how else would you explain us looking terrific in the shop and ordinary when we get home?